Morristown Elementary School District is located in Morristown, Arizona. 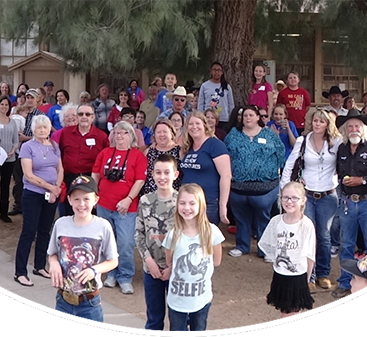 We are in northwest Maricopa County, just southeast of the town of Wickenburg and northwest of Surprise—right off Grand Avenue. Morristown is a slowly growing district with great opportunity for future growth and advancement. Our community has always been very supportive of our school. In Morristown, we understand the importance of educating future generations to succeed in an ever-changing, global society. We are committed to helping our students see themselves as stewards of their environment. Our Environmental Program aims to teach the next generation how to appreciate and care for the unique ecosystem of which Morristown is a part. Visit our Special Programs page to learn more.